This is one of my favorite summer time cakes. The combination of caramelized peaches over a cinnamon, allspice and honey spiced cake brings out all the warm flavors of spring and summer. 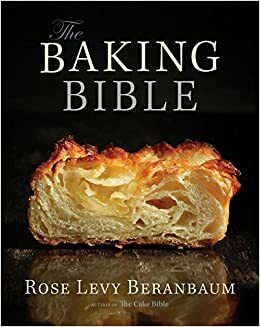 For this cake, I’m going to combine two different recipes: one from the NY Times and the other from the blog Let’s Eat. 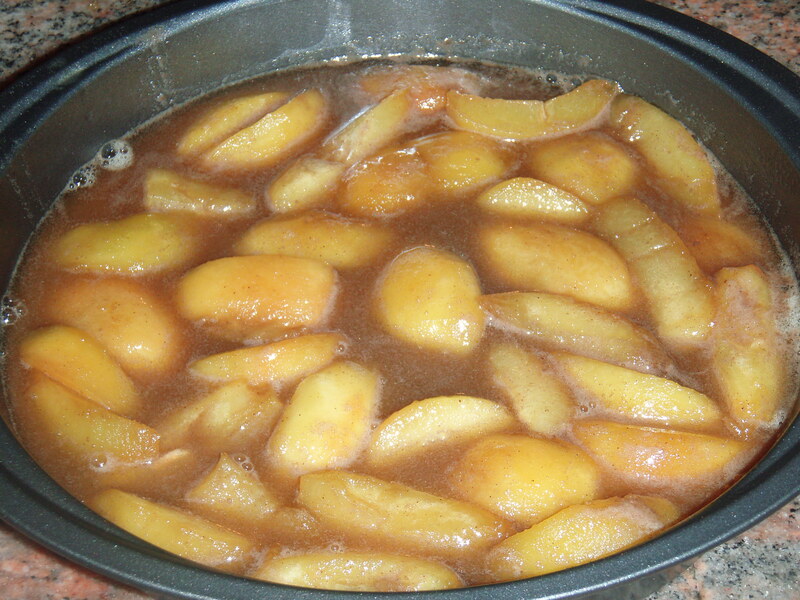 The Let’s Eat recipe “Caramelized Peaches With Rum” caramelizes the peaches with butter, sugar, allspice and rum to intensify and bring out the flavors. 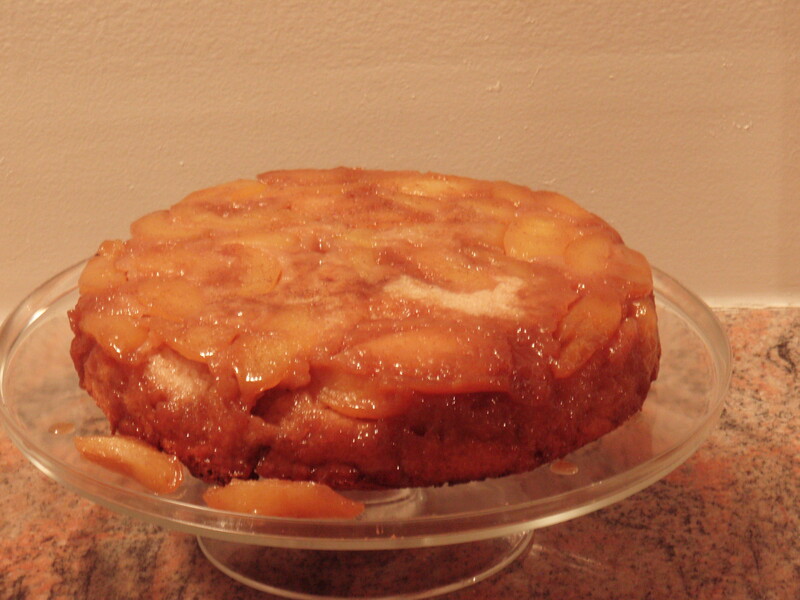 The NY Times recipe creates an inviting cake that soaks up the spices of the peaches to keep you coming back for more. I hope you enjoy the cake as much as I do! 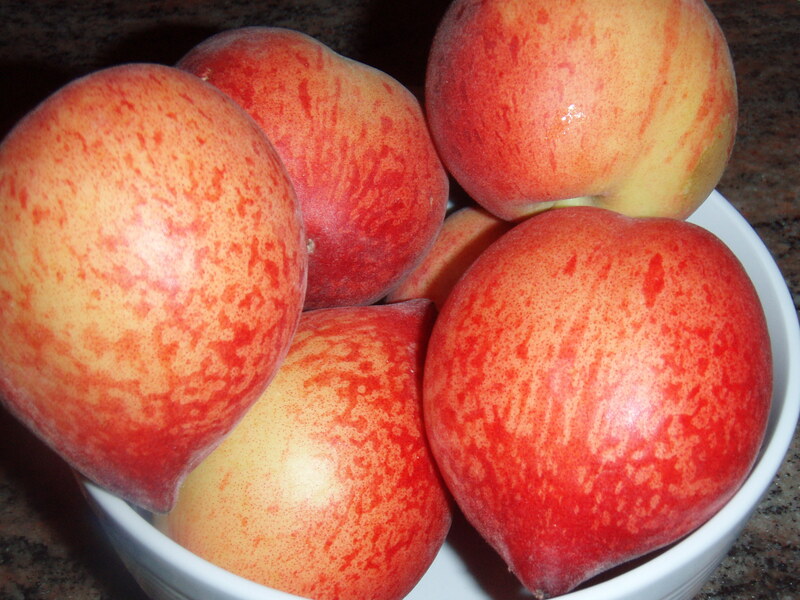 Before you do anything else, if you’re using fresh peaches, take the time to peel, pit and slice them. 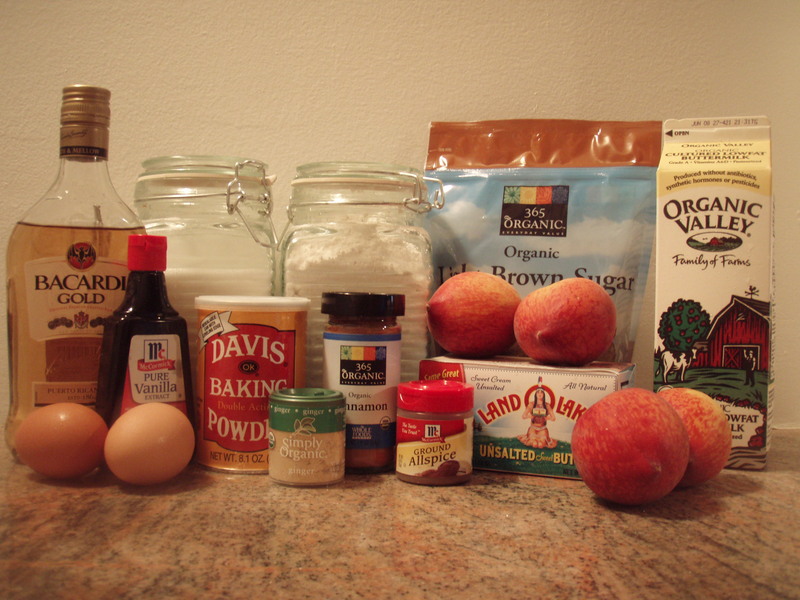 See Baking Tips: Peeling Peaches and Baking Tips: Pitting and Slicing Peaches for helpful hints. 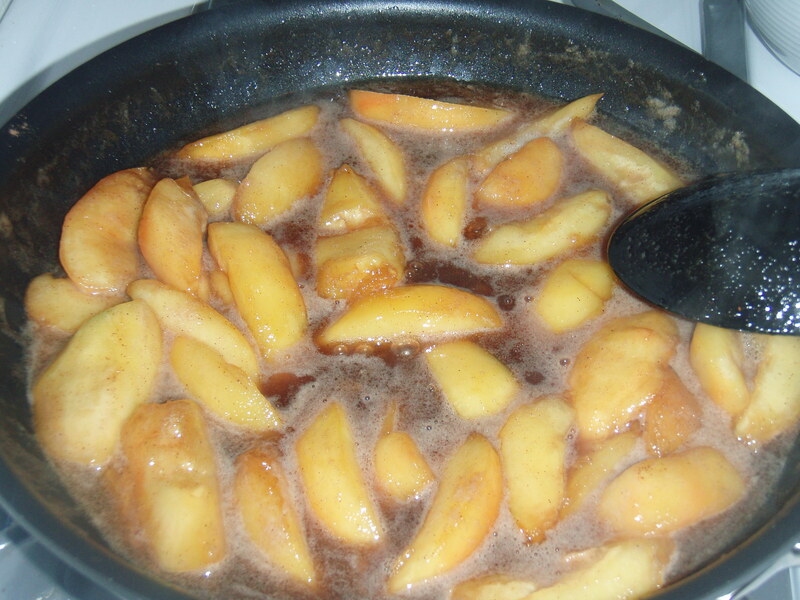 To caramelize the peaches, melt the butter in a skillet and stir in the brown sugar. Once combined, stir in the peaches, allspice and salt. Continue cooking, stirring occasionally, for 10 minutes. Take the skillet off the heat and stir in the rum. Place the skillet back on the heat and continue to cook, stirring occasionally, for an additional 5 minutes. Pour the peaches and sauce into the prepared 9-inch dish, spreading the peaches out so that they cover the bottom of the baking dish. 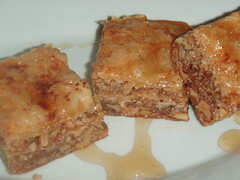 For a little added flavor, drizzle honey over the top of the mixture. Set aside. 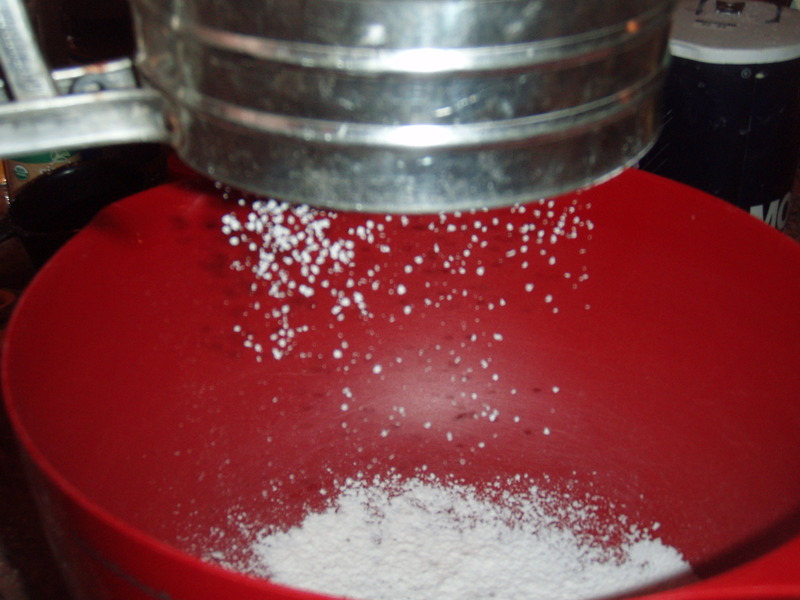 In a medium-sized bowl, sift together the flour, baking powder, salt and cinnamon. Set Aside. In a small bowl combined the buttermilk and vanilla. Set aside. 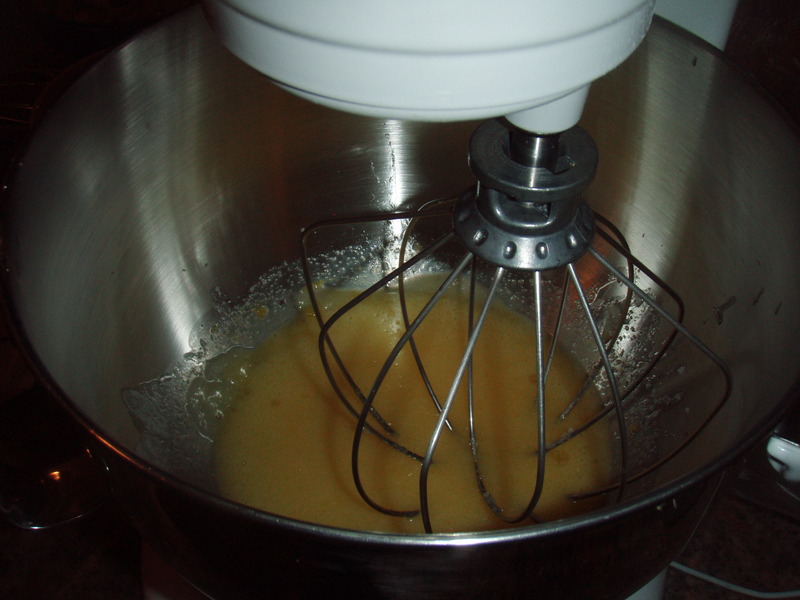 In a large bowl fitted with a whisk attachment, combined the sugar and melted butter. Add in the eggs and mix until light and fluffy. 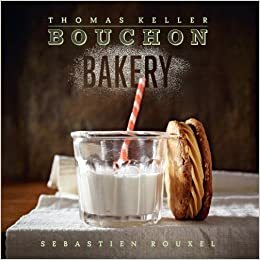 With the mixer set on low-speed, add in the dry ingredients by thirds, alternating with the buttermilk mixture, into the butter mixture. Make sure to scrape down the edges when necessary. 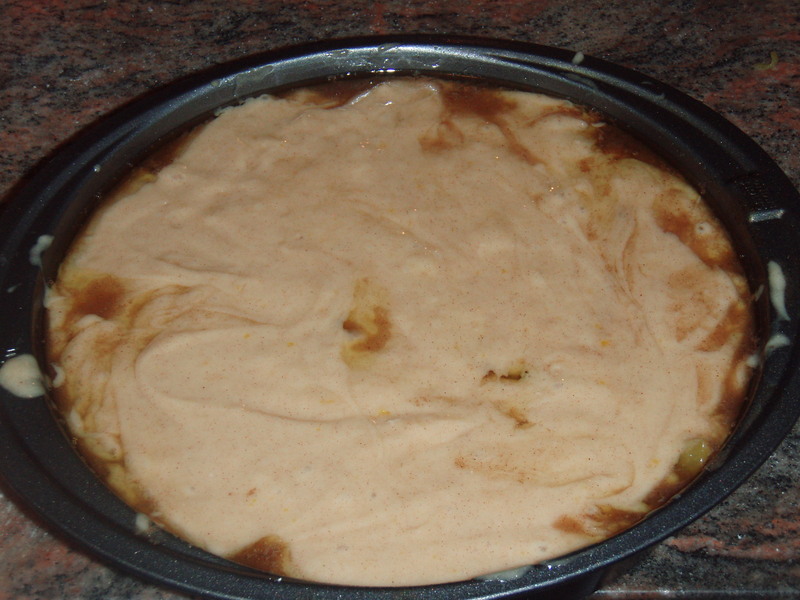 Once it’s fully blended, pour the batter into the 9-inch baking pan and spread over the peaches. It may look as if there’s too much liquid, but do your best to cover it. As the cake bakes, it will soak up all the wonderful flavors from the peach mixture which is what makes this cake so enjoyable! Bake for 50 minutes, rotating the pan every 15 minutes, until golden brown and springy to the touch. Remove the cake from the oven and let it sit and cool for about 10 minutes. Once cooled, carefully insert the tip of a knife around the edges of the pan to make sure none of the cake is sticking to the sides. 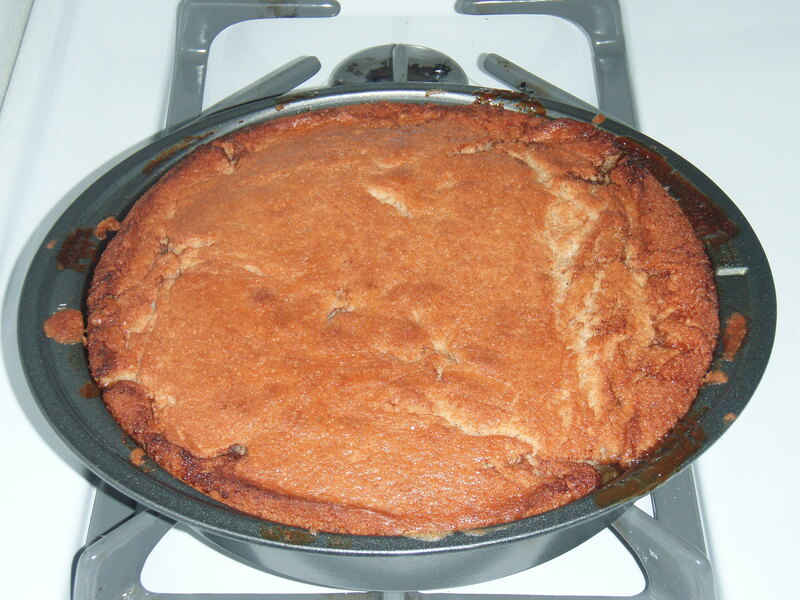 Slowly tip the pan over onto a platter and lift the baking pan off. Remove the parchment paper and let the cake sit for a couple of minutes. 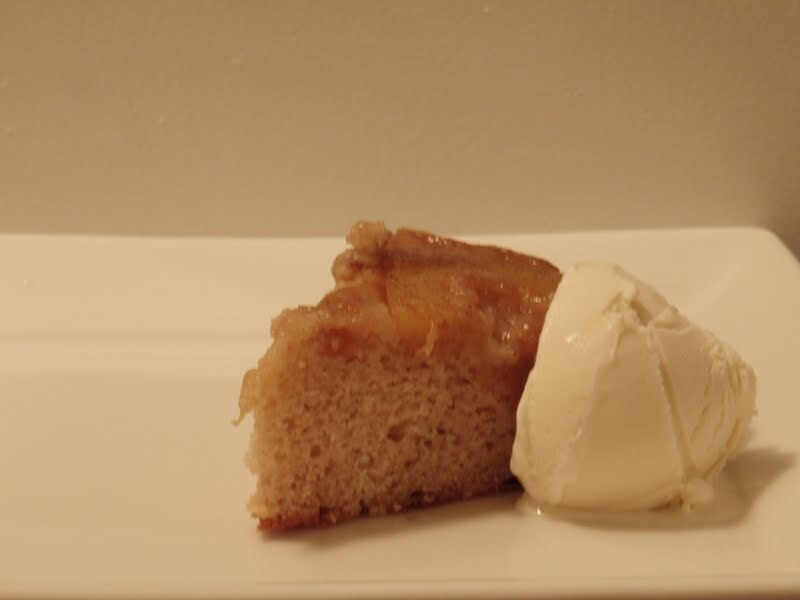 Slice the cake easily with a knife and enjoy with a scoop of vanilla ice cream!